A lot of people tend to complain that their current running shoes are not doing anything for them. The truth is, 50% of those people bought the wrong running shoes, while the other 50% do have faulty ones. So, what can you do to buy the right running shoes for you? The answer is simple: you should focus on fit, construction, comfort, and support. You might be surprised that the aesthetics do not count. If that is a big deal for you, then by all means, consider that. However, if you look at the big picture, looks do not really matter since you should pick something that can help enhance your runs. When it comes to having the latest technology and the type of support on your running shoes, Asics shoes are often discussed. That is why we are going to review the Asics Gel Kahana Running Shoes. Accordingly, we are going to take a look at some of its so-called innovative features. We are also going to give you the pros and cons of wearing these running shoes. Finally, we will compare it to a similar product to see if it is worth your hard-earned money. Let us start off with the feature that this product is proud of, and that is about having neutral pronation, which is the natural movement of our body. With it, our foot tends to roll inward so that there is an equal distribution of weight upon landing. So, what is so special about the pronation of the Asics Gel Kahana Running Shoes? To put it bluntly, they perfected neutral pronation. This means that whenever you wear these running shoes, you will always have an equal distribution of weight. The same applies if you are climbing, running, etc. Moving on to the "gel" part of this running shoes' name, it refers to the rear foot gel cushioning system. This cushioning system can absorb shock while it is still in the impact phase. The result is a smooth transition to that of midstance. As for its midsole material, it is made of SpevaFoam, so it can enhance the bounce back motion. At the same time, the same feature can also decrease the breakdown of the midsole. There is also the thing called Trusstic System Technology. This simply refers to the integrity of the structure of the shoes. Therefore, it can retain its shape, but at the same time, the weight can be reduced on the part of the sole unit. Regarding the outsole, it has reversed lugs that can provide the right amount of traction on different types of terrain. This can also prove to be beneficial on uphill or downhill climbs. Lastly, this pair of shoes comes in a variety of colors and styles. This means that you will surely find one that will suit your taste. The tongue can be a bit short. The Asics Gel Kahana Running Shoes is the perfect running shoes if you have over- or under-pronation problems. With these shoes, you are assured that your weight is distributed evenly and you always have a sprint to your step. This is due to its unique technology that helps with the bounce back motion of your feet. On the other hand, it does have a few durability issues. This is the case as it does not perform well on wet surfaces. The result is a lightweight shoe turned into a heavy shoe. This was brought upon its default design that was made to retain its natural construction. However, the product did not focus on breathability, so in the process, moisture can get trapped. Nonetheless, it does offer maximum support to the runner to the point that one might feel like they are not trying too hard when they are running while wearing these shoes. Lastly, it performs well on a smooth or rough terrain. The Camel Crown Running Shoes surely beats the Asics Gel Kahana Running Shoes in terms of having a breathable design. The former even took it up a notch by providing a mesh inside for the runner to be more comfortable. At the same time, it has a lining that helps with the odor of your feet. Therefore, with these running shoes, you can say goodbye to smelly feet or blemishes that are brought about by too much friction. Just like the one from Asics, it also has a bounce-back feature that can help with a runner's sprint. At the same time, the construction of these running shoes was made to have high elasticity and certain softness. These characteristics make the shoes very lightweight, and it is as if you are not wearing any rubber shoes. Lastly, its outer soles were made to be used on different activities. It does not have a high enough traction, unlike the one from Asics, but still, it can be used for hiking, climbing, camping, etc. 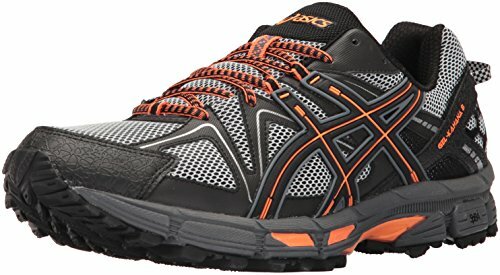 Will these qualities beat the Asics Gel Kahana Running Shoes? Is breathability better than support? The Asics Gel Kahana Running Shoes is still the better option. Just like what we mentioned earlier, construction, fit, comfort, and support are critical factors and all of which are present in these running shoes. It is a given that you might encounter unpleasant experiences when these shoes get wet, but frankly, that is just a small issue. If your main concern is having neutral pronation, these are the shoes to get. Surely, these shoes will not only give you the right amount of support, but they can also help you maintain the proper running form.